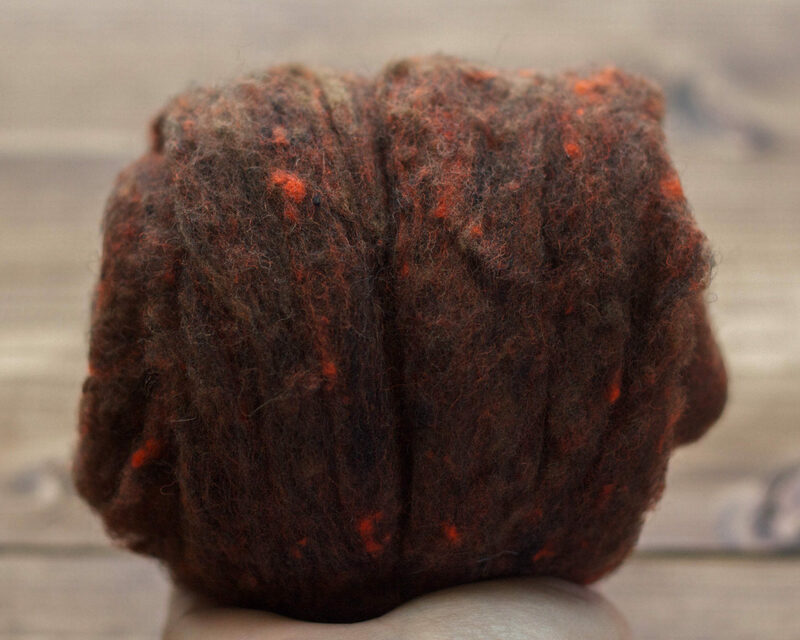 I am so thrilled to be able to offer these beautiful domestically prepared wool batts. I have carefully chosen this wool for it’s lovely textural quality and gorgeous nuanced coloring. Meet Hickory (formerly called Autumn Brown), a warm, rich brown featuring heathered shades of brown, black, and deep orange. 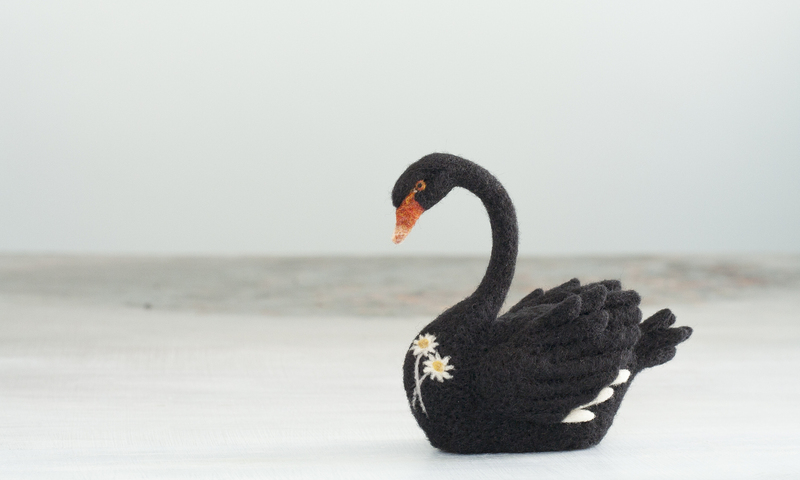 This is 100% virgin wool. 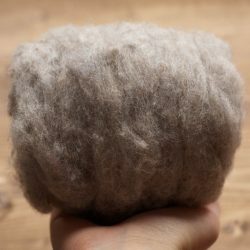 It is very fluffy and soft to the touch, and has a wonderful textural quality with little nubs throughout. 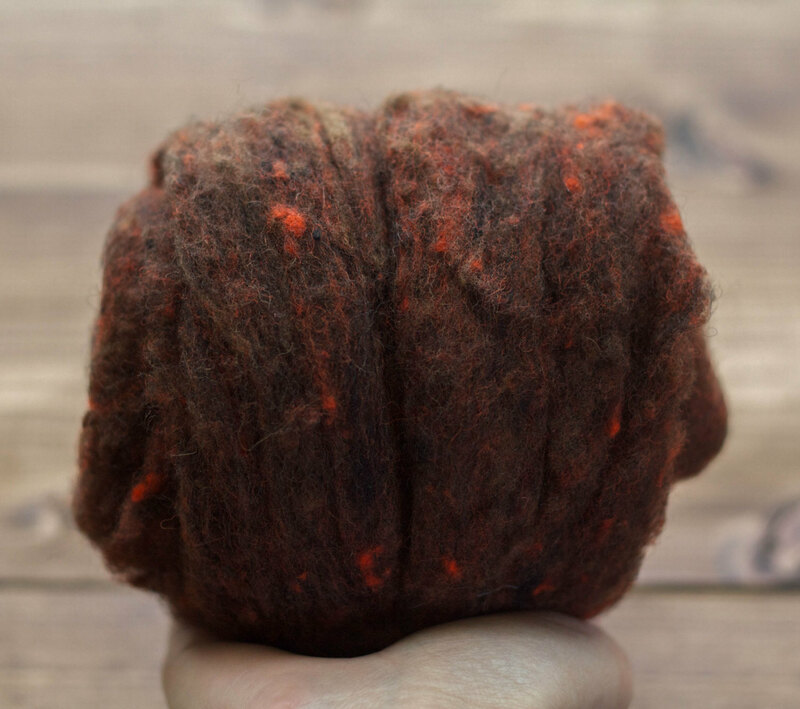 I love this wool for needle felting because it felts very quickly and because the subtle color variations add such a lovely richness and depth to the finished pieces. 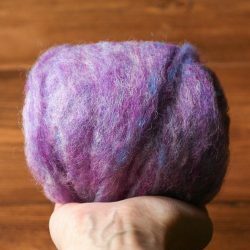 This wool will also spin into a lovely textured yarn. For your reference, the wool in the photo is 1 ounce. Larger quantities of this batting are available upon request. Send me a message for a custom listing! *Wool is not guaranteed to be in one continuous piece unless requested upon ordering. To do so, just leave me a quick note in the “notes” section at checkout. Batts (or batting, or fleece) and roving have both been pulled through carding machines which comb and align the fibers to some degree. But with batting, the wool comes off the machine in thin sheets which are layered to form thicker fluffy sheets. 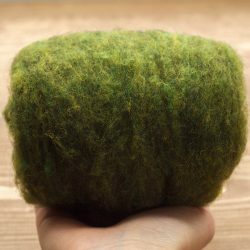 The layering results in a textured wool where the fibers are no longer aligned, making it perfect for needle felting as it felts up very quickly. Roving, on the other hand, is processed one step further and pulled off the machine in ropes where the fibers are mostly aligned. 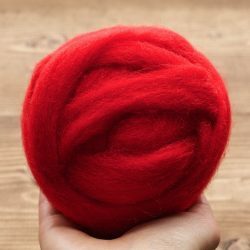 Though the fibers are more aligned, this form of wool still retains the wool’s natural crimp, making it another excellent choice for needle felting.